By Alvaris Falcon in Mobile. Updated on May 8, 2018 . It’s finally arrived. 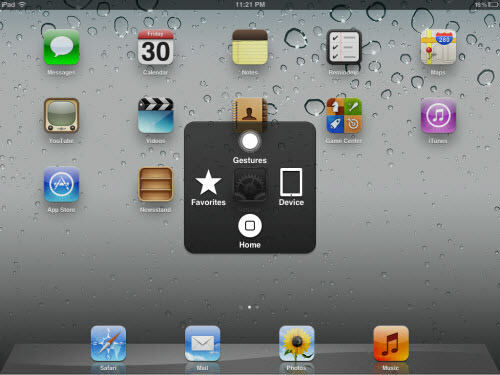 Introduced by Apple’s pre-CEO Steve Jobs in his last keynote, iOS 5 is the latest Operating System for iDevices like iPhone and iPad, which includes tons of new features and improvement. And today, by connecting your compatible iDevice to the latest version of iTunes, you will be receiving the update to iOS 5! As you have expected, iOS 5 is not just a regular update that’s nothing but all talk. According to its feature page, it combines 200 features which not only greatly improve user interface, solve serious user experience issues, but also introduce brand new features like Notification Center, iMessage, Newsstand, Reminder, and more! So while waiting eagerly for the update to complete, we want to uncover more features that add just awesomeness to iOS 5, and you may not know about them. Enjoy reading or exploring new features and rejoice, as your iDevice will look and act better today! 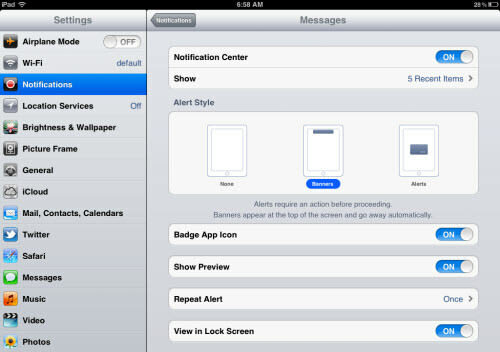 If you visited Apple’s iOS 5 feature page or watched the keynote, you probably know about Notification Center. It’s a revamped design of push notifications, with primary purpose to unite all notifications in one place and remove interruption during your iActivities. Sounds really good, but Notification Center is more flexible than you think. By going to Settings > Notifications > (Application), you will be able to customize the center by either turn off the notification center, set numbers of showing items, choose alert style with 3 options available and even set the alert rate. It’s your notification center, it’s your will to customize it to your liking. Come on, who doesn’t have a secret? Often we want to visit certain website content that’s either your company’s confidential data, or your first girl friend’s blog which you still care about, and you probably don’t want anybody knows about it. Apple understands your concern on privacy, thus enabling a Private Browsing mode in Safari to let you browse any website without leaking out a bit of data. You can turn on Private Browsing mode by access to Settings > Safari. Your Safari’s interface color will turn to dark grey after the activation, which means you are browsing website with Private Browsing mode turned on. Well if you’re too lazy to turn on and off Private Browsing mode every time you want to visit certain website, with iOS 5 you can also remove website data by selection, by accessing Safari > Advanced > Website Data. This is a killer feature for iPhone camera lover. In past it takes some steps to switch between Camera app and Camera roll, but now you can switch to Camera roll right from your Camera app. 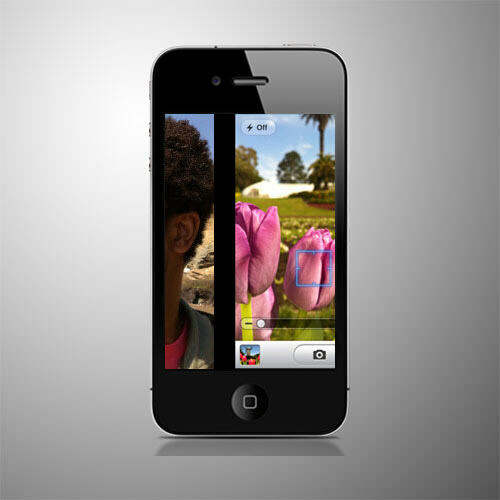 All you need to do is simply slide to the right from the Camera app’s interface. Photos inside Camera roll are shown one by one, and you can continue to slide to the right to view more photos. After you viewed the Camera roll, you can slide to the left until you return to the Camera app. A very brilliant solution, I’m pleased. This is a very small tweak to the iOS, but a great step Apple did to improve the iOS’ flexibility! Starting from iOS 5, there’s a red delete button hidden in many applications like Notes, Music, and even Settings. You will be able to delete everything in list by simply swipe right on the item. Be it songs in the Music app, notes in the note list, or even application data in the Usage setting which I will cover below, you can simply get a delete option by swipe your finger to left or right direction on the item. Say Goodbye to iTunes even just for song deletion! A very cool (and sweet!) international language is added into iOS 5! It’s called Emoji and yes, it’s just what you think, an international language about Emoticons. You can add Emoji language by tapping Settings > General > Keyboard > International Keyboards > Add New Keyboard > Emoji. A picture worth thousand words. With Emoji, you can express your emotion by choosing 33 different emoticons from the list, yet it’s not the end of the story. Emoji is more than emoticons, it contains different kinds of awesome icons, grouped into 6 specific categories. Sunshine, Animals, Christmas Santa, iPhone, Pumpkin, any icon you might need in chatting. I’m not too sure about their proper usage, but for my experience these icons allow me to create lots of laughter during my conversation with friends who use iDevice. Nice job Apple, your design is not only user friendly, but human friendly. 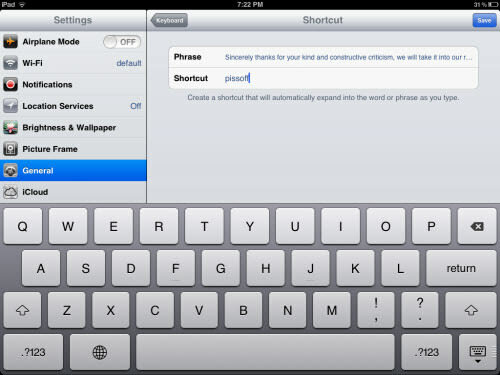 You need no longer to type repetitive long words in any typing work within the iOS 5. A simple ‘OMW’ will create a phrase ‘On My Way’. It’s called keyboard shortcut, and you can create it by tapping Settings > General > Keyboard > Add New Shortcut. The creation is amazingly easy, just input a shortcut and a phrase, then you’re done! Also I’ve been worrying about language compatibility with keyboard shortcut, so I tested it with Simplified Chinese and Emoji, and Apple never disappoints me, it works very well with languages other than English! This not only saves a lot of exhaustive typing work for common users, but also those coders who do some coding using apps like Editor for iPad, for instance you can set shortcut “pp” for paragraph tag. This cool feature is for iPhone only. 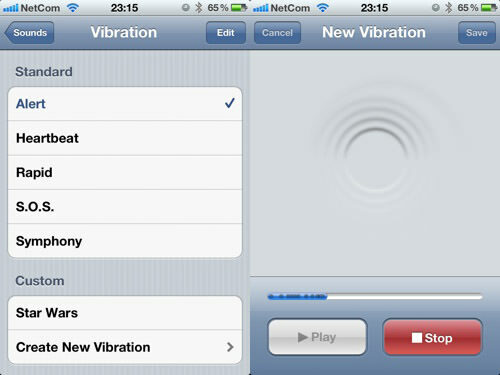 Originally created for people with disabilities, custom vibration is one of the new magic of iOS 5 which you will love to play with. Just as its name, by accessing to Settings > General > Accessibility > Custom Vibration, you will be able to set your own version of vibration for phone calls. By default there are several patterns like heartbeat, S.O.S and Symphony, but you can slide down to the bottom of the option and press on ‘Create New Vibration’ to make your exclusive version of vibration. You can also assign this vibration to certain people in the contacts so next time the iPhone vibrates, you know who’s calling. Pretty cool isn’t it? iOS 5 is so amazing that it’s not only available to common people, but also people with difficulties using the iOS device, and the new feature that solves their problem is named AssistiveTouch. Well, the feature is originally designed for people with disabilities, but it can also be a lovely feature for common users! You can access to Settings > General > Accessibility > AssistiveTouch to enable it, and a semi-transparent square button will appear at the bottom of the device. 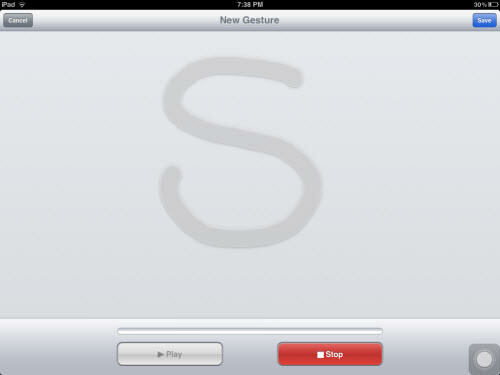 With a click on the button, you will be able to perform actions like Shake, Pinch, Lock Screen, Rotate Screen, etc. If you tap into Settings > General > Accessibility > AssistiveTouch > Custom Gesture, you get an option to create and save your own version of custom gesture. The gesture will be saved into the Favorites section of the AssistiveTouch, and it will do exactly what you’ve done in the recording session. It’s clear that the custom gesture is created as a macro shortcut to do certain task easier, so be prepared to use this convenient feature after you got the iOS 5! Apple hopes to achieve the PC Free era for iDevices, and Usage option is existed to substitute certain features of iTunes. Again, you need to access into Settings > General to get the Usage option. In this option, you will see storage space that’re still available for new stuffs, and allocated space for installed application and its data. You can also delete the application right here if you’re not happy with its data size, just tap on the application then a red “Delete App” button will do both application and data deletion. 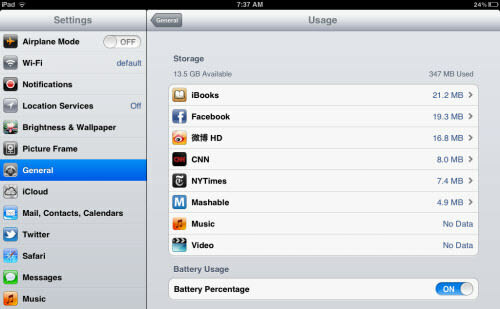 Besides, you can also manage your iCloud storage here, without the involvement of any extra application like iTunes! There’re just too many minor tweaks in iOS 5 that make your iLife easier, so in this last section I will share about some little yet awesome features which are noteworthy. These are tweaks which greatly smoothen your iOS experience, also which iOS users have cried for since the version 4. You’re now able to use iOS device while it’s still syncing, saves a lot of waiting time! Also there’s an update called Delta Software Updates, which means the software upgrade will only change particular files, so you don’t need to download entire OS with pretty fat size. And it’s OTA (On-The-Air) update, which means you can update your iOS version straight from device through Wi-Fi or 3G. 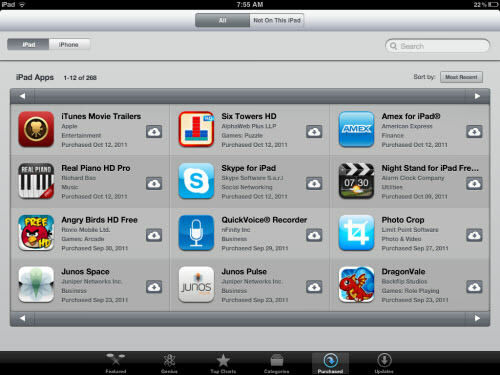 Besides, you no longer need to memorize or note down what apps you have purchased, as there’s a section called “Purchased” existed in the App Store, and you will be able to check up iPad-specific or iPhone-specific apps you’ve purchased and installed. Other minor yet notable improvements are ability to create and manage album, open iTunes and Safari links in background, swipe left or right from one’s mailboxes folder list in Mails app to take you to another account’s mailboxes, and more! iOS 5 is just about more features! In iOS 5’s promotional video, Scott Forstall of Apple said that they are constantly challenging themselves on a question, which is how they can make iOS’ user experience even easier, or friendlier. I always feel that Apple has its own autocratic way to develop the iOS, but this time I’m really pleased with their improvements on iOS 5, which proves that they accepted users’ opinion and suggestion. Good job, Apple. It can be the 10 key features covered in the keynote, or features shared in this article. Which feature you favored the most in this update? My personal favorite is the Notification Center feature, and do share with me yours!